Very professional staff, took me right away, Dr. Delos had great bedside manner, very knowledgeable. Recommended x-rays which were taken in his office right then - no wait! Excellent doctor, diagnosed me right away, no unnecessary tests ,I would highly recommend! Gave me recommendations for the best Greek restaurant to boot! 5 stars! Dr. Delos has treated three of our family members including our 12 year old son who sustained serious knee and shoulder injuries in a ski accident. He has an excellent bedside manner, is very caring, is extremely responsive and happy tospend time explaining everything relating to the diagnosis, treatment and rehab. All of our surgeries went extremely well and his follow up care and treatment/rehabilitation plans have been excellent. I would not hesitate to recommend Dr. Delos. 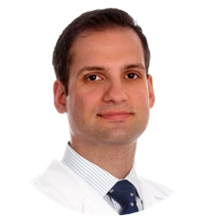 Dr. Demetris Delos, MD has no appointments on Zocdoc right now.